This week on Spellburn, we’re waiting for GENCON! 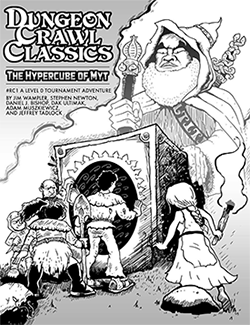 DCC RPG is going to have its biggest presence ever at the world’s biggest gaming convention. How did we get here? Jon Hershberger has been involved in oldschool gaming for decades, and running the same campaign for much of that time! But you may know him as a friendly face behind the dealer’s room booth, the writer-editor of the DCC RPG Index, or one of the people who is making the Gongfarmer’s Almanac happen for the third year in a row! We’ll talk to Jon about GENCON, the Almanac and much more!